The series Spaced was brilliant, everybody loved Shaun of the Dead and most people quite enjoyed Hot Fuzz and so I went in for the last of Edgar Wright and Simon Pegg’s ‘Cornetto Trilogy’ with enthusiasm more or less balanced by trepidation. Unfortunately I’d seen the trailers, so there weren’t to be many surprises in store. What you do get is a nice retelling of The Stepford Wives with an awful lot of naturally funny dialogue and trademark sharp editing. Simon Pegg is far better in this stuff than the Hollywood films we’ve seen him in for the last few years (do not get me talking about Star Trek), he comes across as genuinely funny and charming, despite playing a habitual loser who drags a bunch of old friends he’s largely fallen out with to return to their home town and complete the pub crawl. Great set up, and I really wish I hadn’t seen the trailers because it feels somewhat drawn out waiting for the ‘wives’ to show up. Once again the film revolves around the relationship between Pegg and his real-life best friend Nick Frost – they play very satisfyingly together. The rest of the cast is also splendid, from Martin Freeman in the first role where I haven’t hated him, to Pierce Brosnan representing the villains. The special effects are gory fun (while being very PG and clearly a tribute to Peter Jackson’s Bad Taste and it features a number of surprisingly great fight scenes – dudette with legs instead of arms and a pub brawl being my highlights. I also laughed all the way through and left content. Watch it. Sequel sequel sequel… Pixar have decent sequel form with Toy Story 2 & 3, although they did also do Cars 2 which was, incredibly, even worse than the initial awful premise. Oh well. 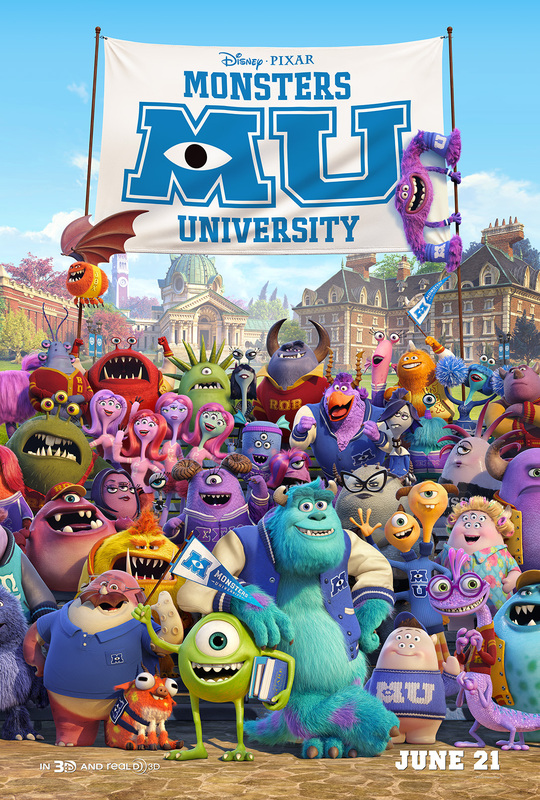 I loved Monsters Inc. so bad and never really felt it need a prequel, but we have one now and it’s impossible to resist. It’s alright – the story of college competition and friendship is well worn and so is reliably told. I can’t say I cared much at any point though, which for a Pixar movie I think is something of a failure. Obviously it looks gorgeous and once we finally get to some action scenes (the competition for the most terrifying monster team) it gets good, although it also slides rapidly in montage and lovable loser territory. I’m not sure I’ve got anything else to say – there’s nothing new here, and it’s a bit slow in places,but I’d rather watch this than any sequel to Shrek. I think you nailed how I feel about these films: Shaun of the Dead: Loved it, Hot Fuzz: Enjoyed it. 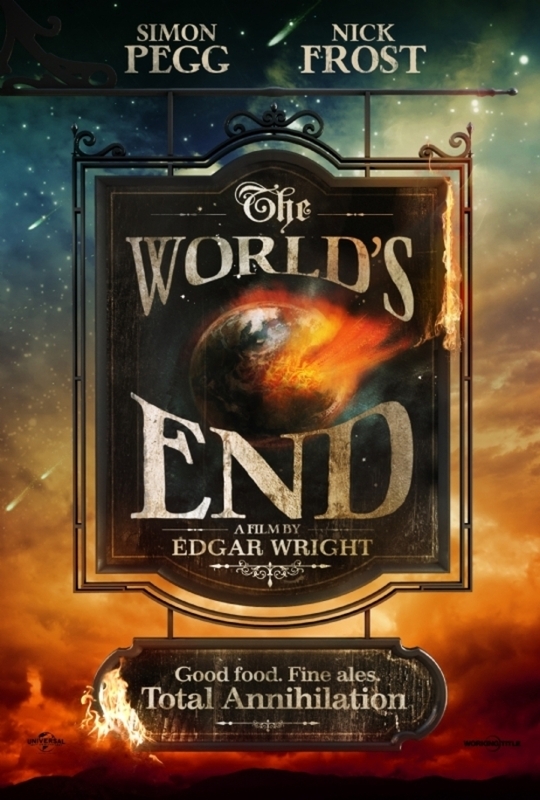 I’m hoping to see The World’s End over the weekend but I agree, I think the trailers gave away too much. The trend of trailers towards being a condensed version of the film really annoys me. I can’t believe people won’t got to see a film unless they know exactly what’s going to happen.